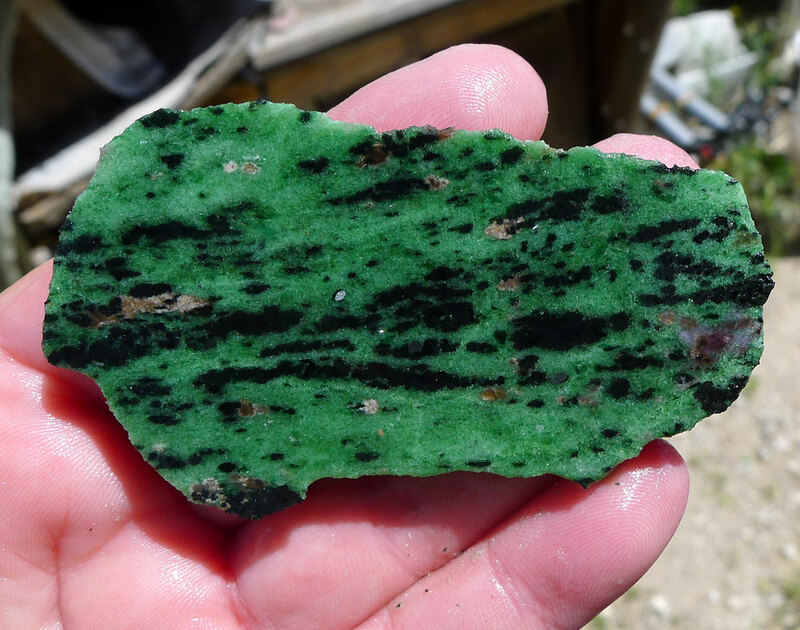 Small Ruby in Zoisite Slab for Lapidary Artists, Cab makers or Lovers of Raw Stones. 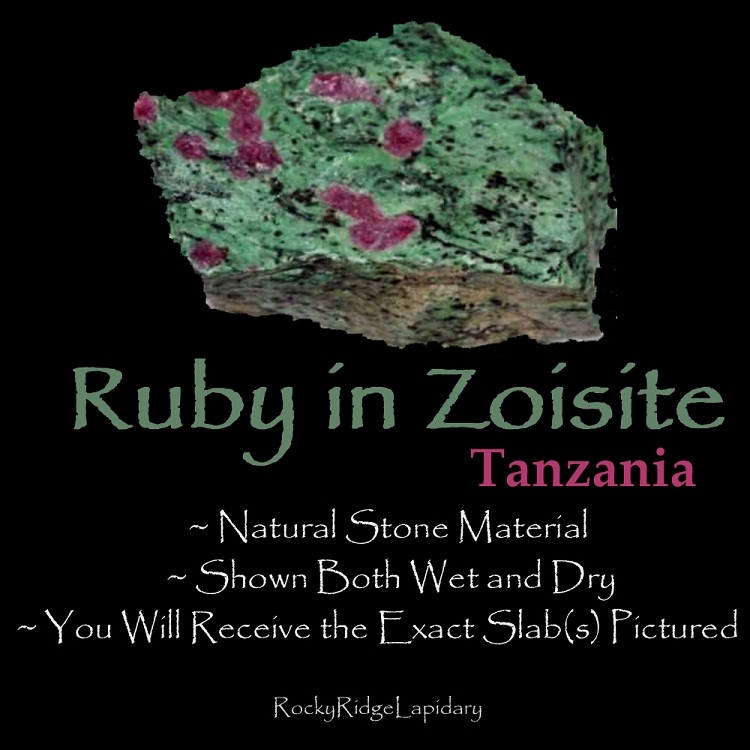 You'll receive the EXACT Ruby Zoisite Slice Pictured. Raw Ruby in Zoisite stone comes from Mundora, Tanzania. 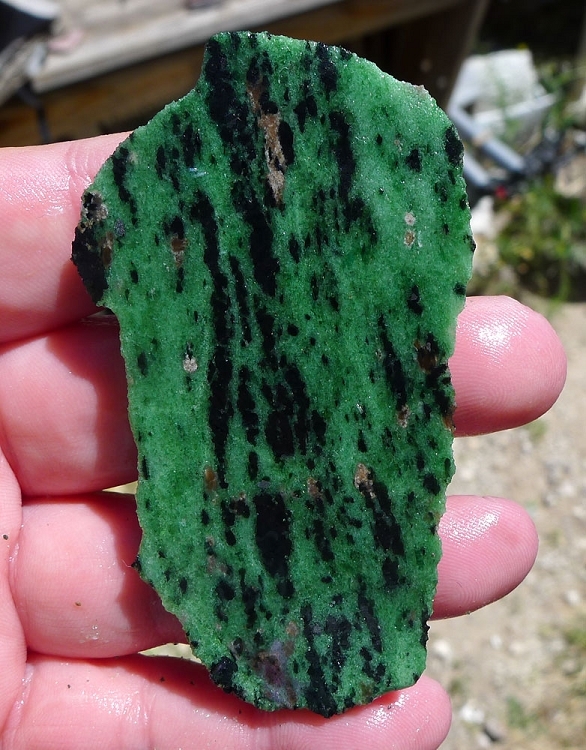 The sparkling green is zoisite, the red is ruby, the black is hornblende. 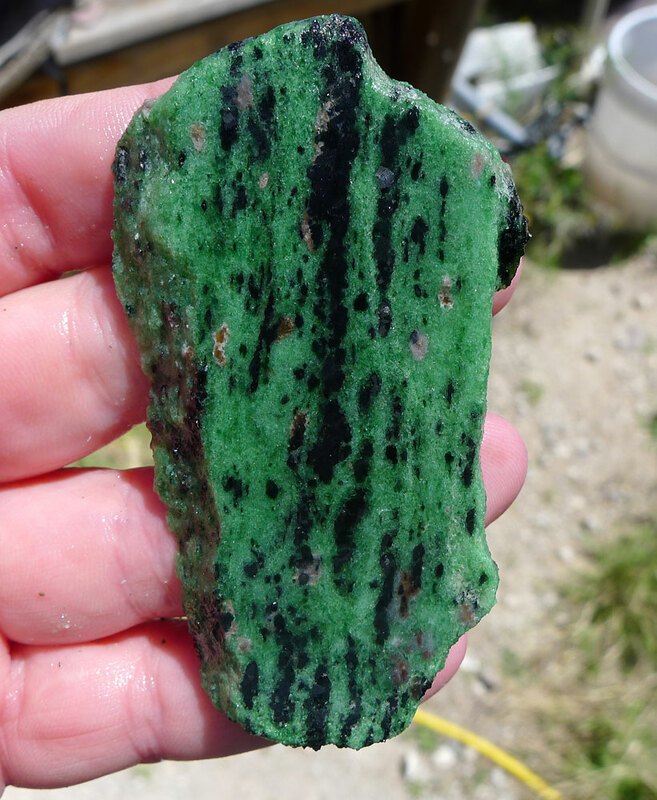 Ruby Zoisite is also known as Anyolite. Weight: 1.53 oz. - 43.37 gr.